‘Traditional’ or ‘conventional’ publishing is the name given to publishers who fund the publication of the book on behalf of the author. Contrary to the name, it isn’t a very traditional method of publishing, as self-funded publication pre-dates ‘traditional’ publishing and was the method of choice for authors such as Jane Austen and Beatrix Potter. Traditional publishers include Bloomsbury, Penguin Random House and Harper Collins – amongst many others! It is notoriously difficult to get a traditional publishing deal, as publishers only have so many resources available to invest in new authors. If a publisher does takes on your work, you (or your agent) will need to negotiate a publishing agreement. This will determine important things such as the rights that you are going to license to the publisher, how much your advance will be and the value of royalties you will be entitled to on sales. 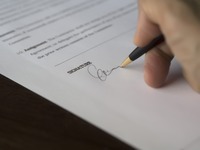 All agreements are different and writers should ensure that they read through the terms carefully before signing. The Writers’ Guild of Great Britain and The Authors Guild (in the USA) both offer help with contracts to their members. You should be aware that as a writer, especially a newly published writer, you may struggle to get a ‘good’ deal. The seven figure advances for début novelists that get splashed all over the news are very much the exception rather than the rule. The amount that you as the writer receive as an advance and the amount you receive in royalties may seem very small. You will probably find that you’ll need to surrender a fair bit of control over your book along with the rights. When the deal is done, the publisher will start creating a book that they think will sell in the current market. Typically, it will take a year before the book reaches the shelves of the bookshops. Once a final proof has been approved, the publisher will send your books to be printed. Once printed, your books will be sent to a distributor who will warehouse them, ready to send them out when the book is launched. The publisher will negotiate for the book to be sold in particular retailers and the distributor will send the books out to retailers. Which one is best – self-publishing or traditional publishing? There are many arguments on both sides of this discussion. Traditional publishing takes away any initial financial input from the author, but typically has a very low author royalty percentage. Self-published authors can maintain complete control of their book, but will need to source their own editor, designer and marketing. This being said, there’s no reason why you can’t do both. There are a number of successful writers who’ve self-published at some point in their career. They include: Margaret Atwood, William Blake, Robert Bly, Lord Byron, Willa Cather, Pat Conroy, Stephen Crane, e.e. cummings, W.E.B. DuBois, Alexander Dumas, T.S. Eliot, Lawrence Ferlinghetti, Benjamin Franklin, Zane Grey, Thomas Hardy, E. Lynn Harris, Nathaniel Hawthorne, Ernest Hemingway, Susan Hill, Stephen King, Rudyard Kipling, Louis L’Amour, D.H. Lawrence, Rod McKuen, Marlo Morgan, John Muir, Anais Nin, Thomas Paine, Tom Peters, Edgar Allen Poe, Alexander Pope, Beatrix Potter, Ezra Pound, Marcel Proust, Irma Rombauer, Carl Sandburg, Upton Sinclair, Gertrude Stein, William Strunk, Alfred Lord Tennyson, Henry David Thoreau, Leo Tolstoi, Mark Twain, Walt Whitman and Virginia Woolf. These days, if you decide to self-publish you don’t have to pay the large up-front fees that used to be the hallmark of self-publishing. 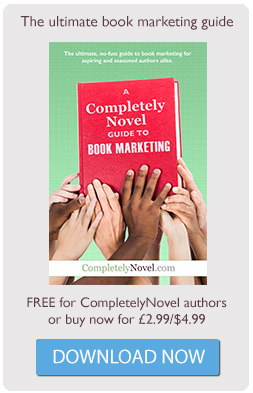 If you do some research, you can find a number of different affordable options (of which CompletelyNovel is one – read this price comparison). Self-publishing your book doesn’t mean that you can’t approach a publisher at a later stage, once you have some sales and ‘proof of product’ behind you – in fact, this is a route we see many authors using to great effect. A traditional publisher will have the contacts, expertise and experience to be able to do much of the work involved in publishing your book on a larger scale. The most important thing is that you research into the route that is right for you, before you sign any contracts. And remember, you can start publishing with CompletelyNovel with no upfront fees and a community of authors at your side. Self-publishing doesn’t mean that you need to go it alone.